However many teeth you have missing, dentures can be a convenient way to help restore the natural look and function of your mouth. At Ryde Dental Practice, we provide made-to-measure dentures that look and feel like real teeth. We can also repair, reline or clean your dentures to help keep them in excellent condition. If you have many missing or damaged teeth, dentures can be the most affordable option for restoring your smile and function. Dentures may also be recommended if you’re suffering from gum problems, persistent toothache, or you have difficulty eating or speaking. Dentures are suitable for adults of all ages, and are made from strong acrylic that’s designed to look just like the gums and teeth. 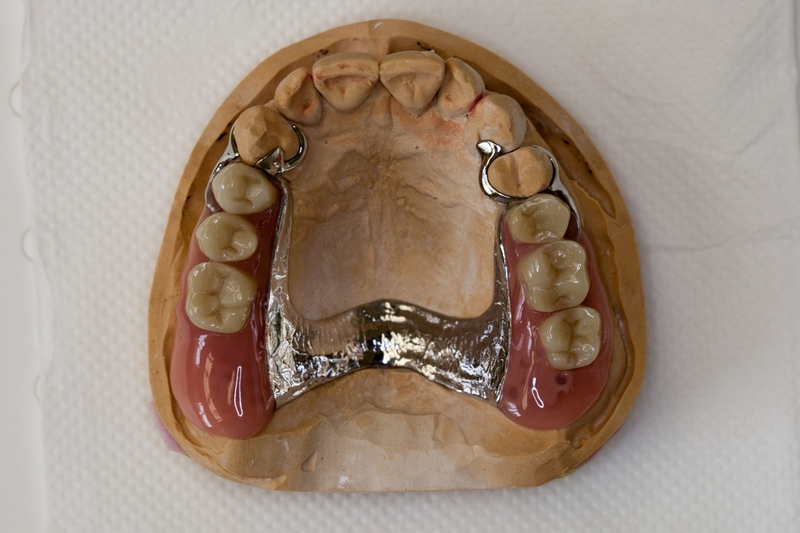 We provide custom-made full and partial dentures to make sure you get a perfect fit. Depending on your circumstance and situation, we may recommend dental implants or crowns and bridges to fill the gaps instead. Full dentures are used in situations when you don’t have any teeth remaining in the upper and/or lower jaw. They replace an entire arch of teeth using a single plate. Upper arch dentures fit over the roof of the mouth, while lower arch dentures only cover the bottom jaw and gums so your tongue can still move freely. Partial dentures are used if you have some missing teeth and still have a number of healthy teeth. These healthy teeth are used to anchor help support and hold the partial dentures in place. These plates can replace as many teeth as needed, and they also stop your remaining teeth from shifting into the gaps. As long as your remaining teeth are healthy, there’s no need for extractions when you choose partial dentures. In some circumstances, if you have an existing denture but need a tooth removed, we can repair and add teeth to your denture. After your new dentures are fitted, we’ll help you to keep them in great condition. If your dentures become stained or discoloured, visit us for professional denture cleaning. If your dentures get damaged, contact us to make an emergency appointment for denture repairs and relining.